The VeggieTales Flannelgraph Inlaid Puzzle offers challenging educational fun in the form of an entertaining 3-D puzzle activity! Children will happily spend hours developing their problem-solving skills as they figure out how to put all of their VeggieTale friends together. 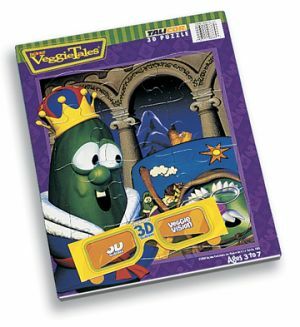 So encourage your child to strengthen his or her logic skills while having fun piecing together favorite VeggieTale scenes. Ages 3-7.